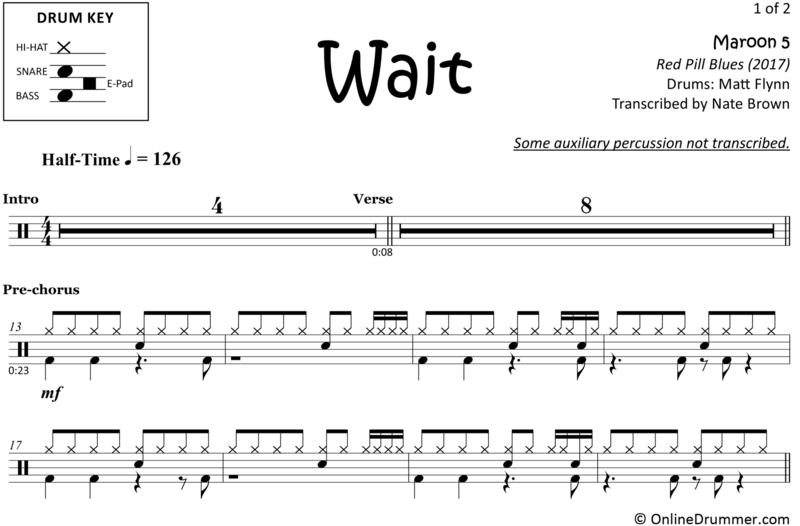 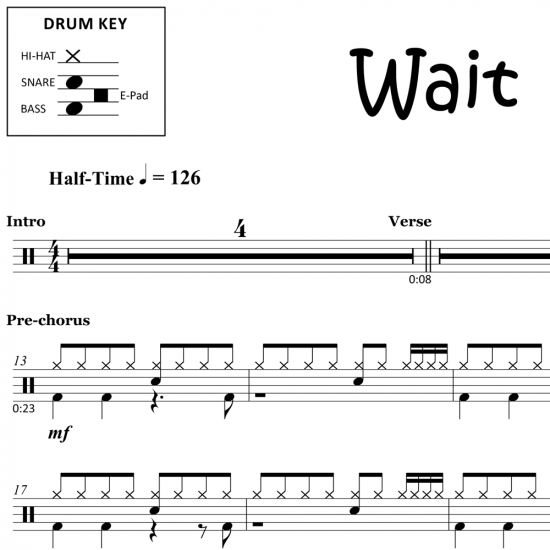 The full drum sheet music for “Wait” by Maroon 5 from the album Red Pill Blues (2017). 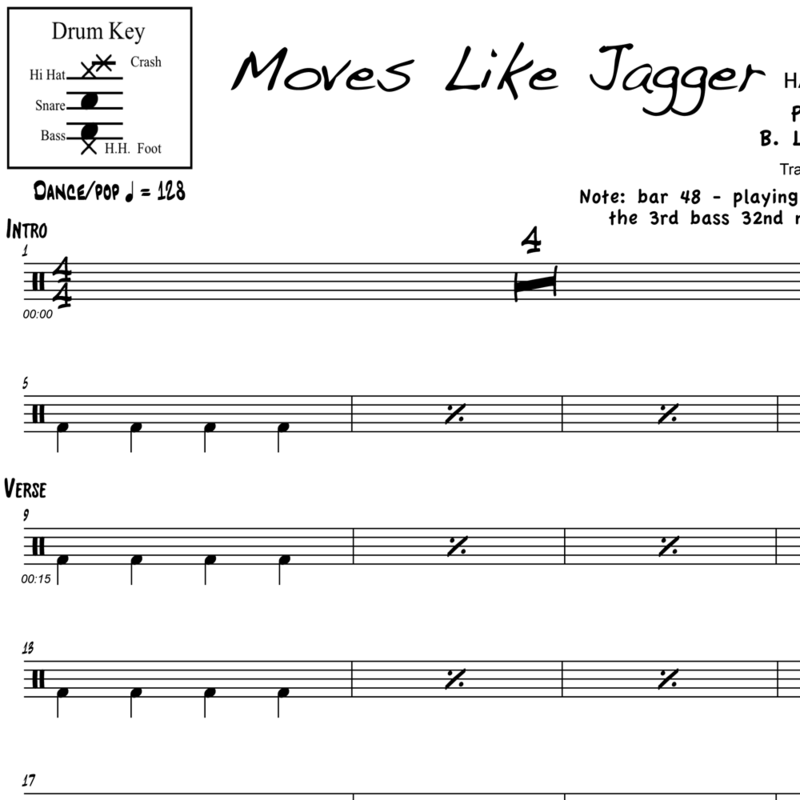 The full drum sheet music for "Moves Like Jagger" from the album Hands All Over (2011). 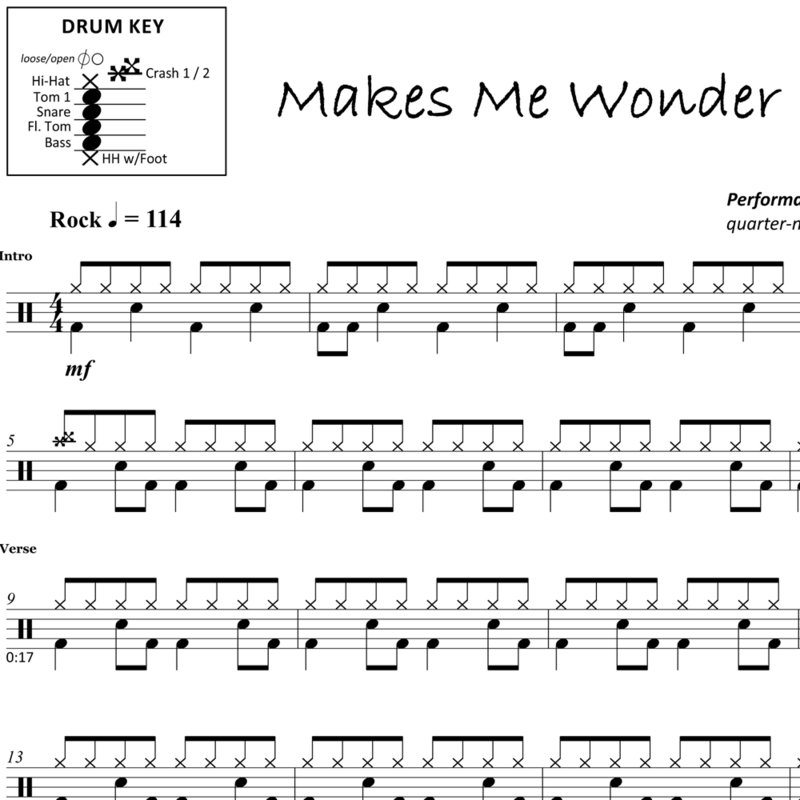 The full drum sheet music for "Makes Me Wonder" by Maroon 5 from the album It Won't Be Soon Before Long (2007). 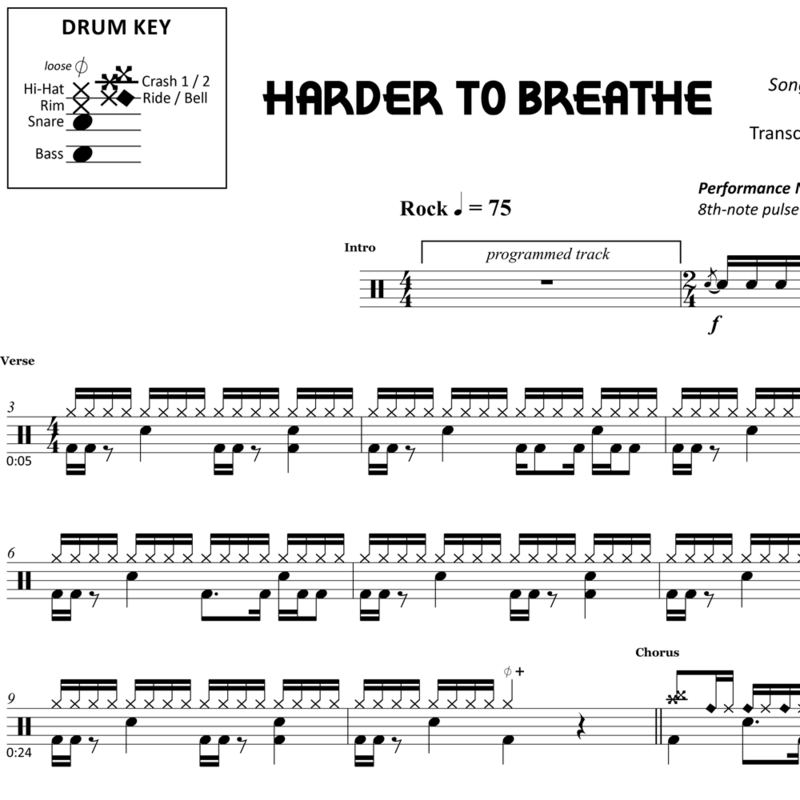 The full drum sheet music for "Harder To Breathe" by Maroon 5 from the album Songs About Jane (2002). 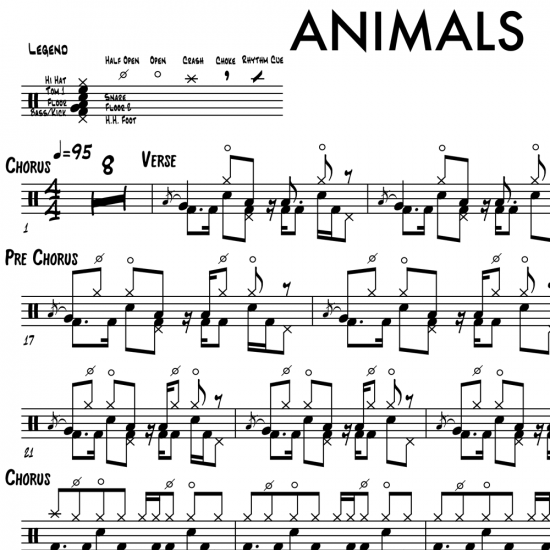 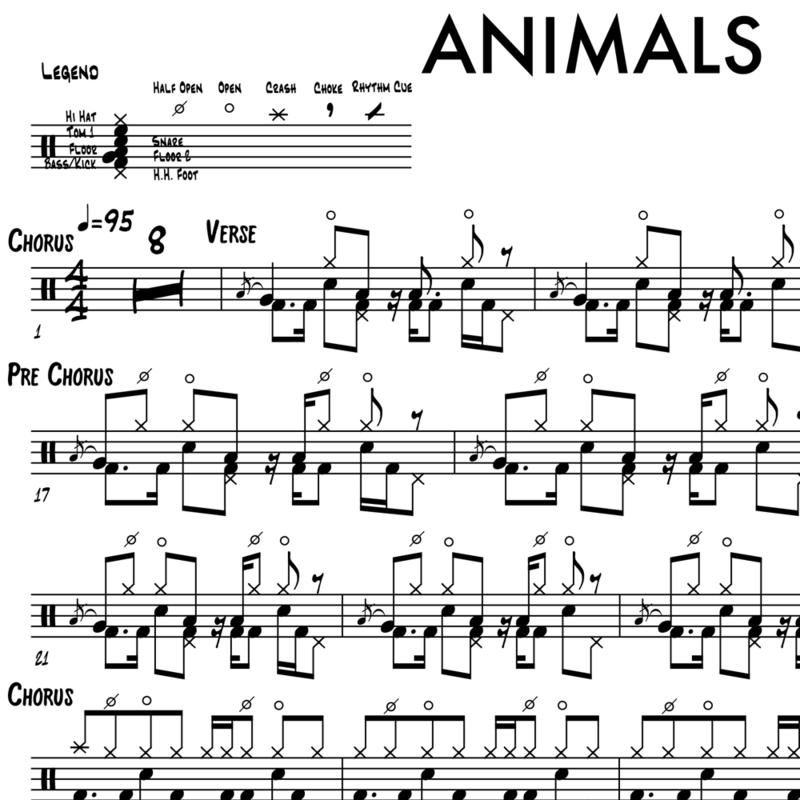 The full drum sheet music for "Animals" by Maroon 5 from the album V (2014). 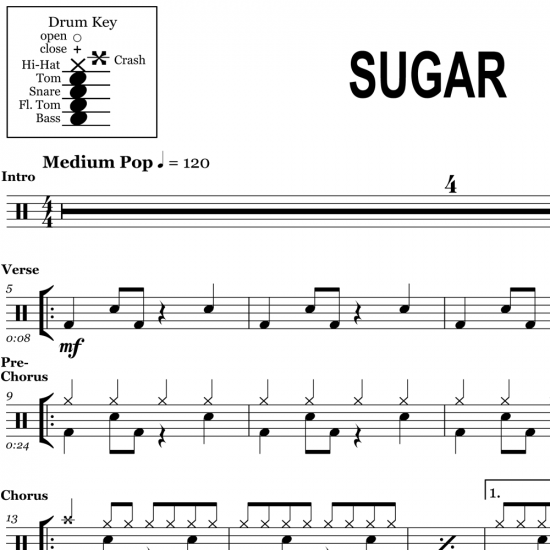 The full drum sheet music for "Sugar" by Maroon 5 from the album V (2014).